Custom closets can be a very expensive addition to your house. Fortunately Ikea makes a very versatile system that will fool people into thinking you spent thousands on hiring a professional. The Pax wardrobe system comes in two heights, three widths and two depths. There is also a choice of three different colours, although the stained oak colour limits your choices of sizes while the black-brown and white are available in all sizes. Choose the best sizes that fit your clothes organization style and the amount of room you have. Be sure to measure your ceiling clearance before buying the taller wardrobe option. 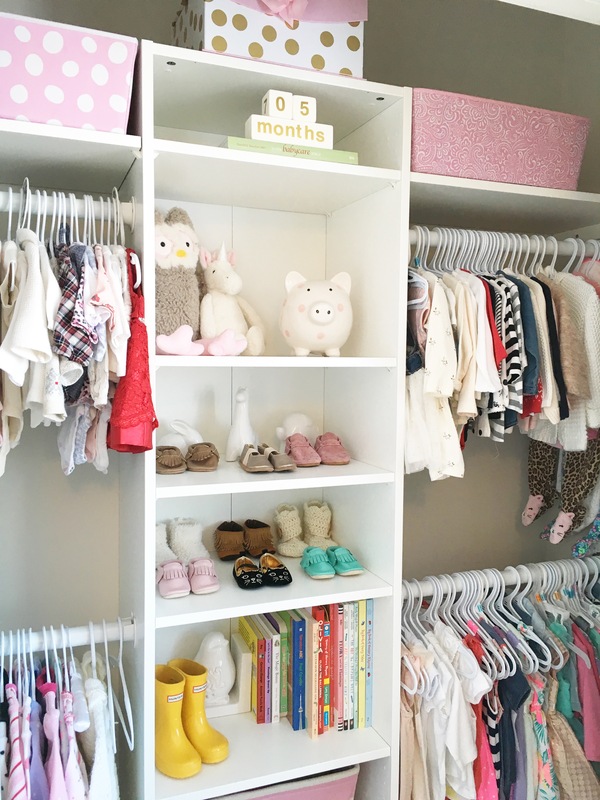 In Emsley’s closet, we had the builder standard wire mesh hanger shelf which didn’t make the most efficient use of space. I started out by completely removing that and patching and painting all the mounting holes. There wasn’t a lot of room in the closet but we wanted to have two rows of hangers along with shelves for miscellaneous storage. We started off with a single Pax wardrobe frame in the middle of the closet that we could mount our hanger rods from. The closet wasn’t very deep or wide so we went with the shallow depth of Pax Wardrobe (13 3/4”) and narrow width (19 5/8). The first step is to follow Ikea’s instructions and assemble the frame. In order to make it sit flush against the back wall you will need to cut out the baseboard so the frame can be pushed all the way to the wall. I set the assembled frame against the base board and marked the cut lines with a pencil on the base board. I then removed the frame and used a multi-tool saw to cut accordingly. Once the baseboard was removed I pushed the frame all the way against the wall making sure to level it before securing the top of the frame to the wall. For a polished look, you can caulk your cut lines where the baseboard meets the frame. Once the frame is installed you will need to decide how high to put your hanger bars. We wanted ours to be versatile for any clothing sizes so we did one 38 inches off the ground and another at 68 inches; ensuring a smaller child could reach the lower bar. Mounting them about 13 inches away from the back wall should leave sufficient clearance for hangers. For the rods, I used Stanley heavy-duty rods which I cut down to size along with the matching rod flanges. I found all of these at Home Depot. Emsley’s closet has four rods in total so if you are doing it this way you will need to mount four flanges to the Pax frame and four to the wall. For the wall side, my mounting holes didn’t line up to any studs so I mounted it with 75-lb drywall anchors which is more than enough holding power for anything one would need to hang. When mounting the flange on the frame side, be sure to pre-drill your holes to prevent the frame from splitting. I wrapped a piece of tape around my drill bit to make sure I didn’t drill too deep and come out the other side of the frame. The last thing I did was install shelves above the top hanger bar on either side of the frame. I purchased the matching shelves from Ikea and made sure to get ones that were a little bigger than I needed. I cut the wall side down to the correct size so that the factory holes on the shelf could be used to mount it on the frame side. These shelves are made to install on the inside of the frame so there is pre-drilled holes on the inside. To mount it on the outside, I drilled those holes out from the inside so they went all the way through and then I could use the same mounting method on the outside. On the wall side I installed a cleat made from a painted piece of wood. After that, all you need to do is choose what kind of organizers you want to put in the frame. We opted for shelves right now and used baskets for toy storage so they could easily be removed and brought out to play with. Down the road we can easily add in drawers in a variety of styles or shallow trays for jewelry as she grows up. All said and done, this size of closet should cost you under $200. Gotta love a good hack! This is awesome and very sweet. 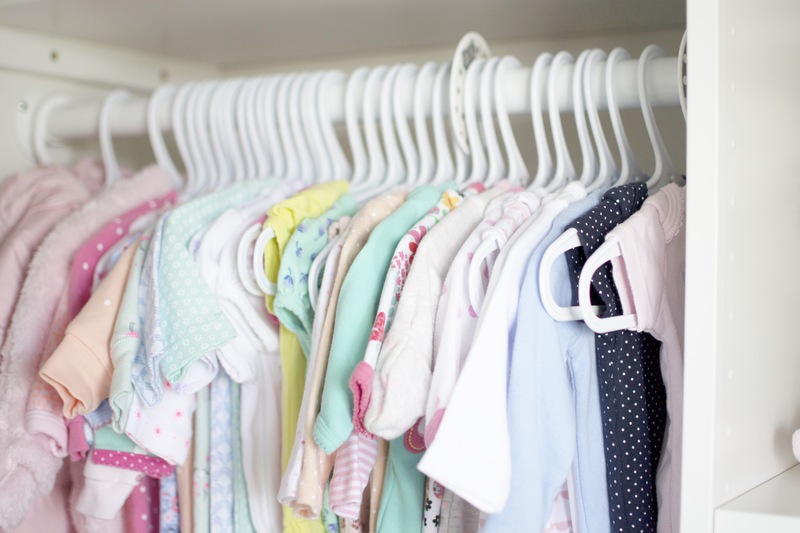 Love the beautiful baby clothes. Love this! When you drilled the hangers (to the outside of the Pax cabinet) I assume you had to use small screws so as not to go through to the inside. Is that strong enough to hold the hangers? My son is older and I’ve been wanting to do something just like this for his closet. Thank you! Thanks! We actually used the screws that came with the bar mounting hardware. They were just short enough so that they didn’t go through to the other side. Don’t forget to pre drill your holes to prevent splitting. The screws do bite really good just make sure not to over tighten. 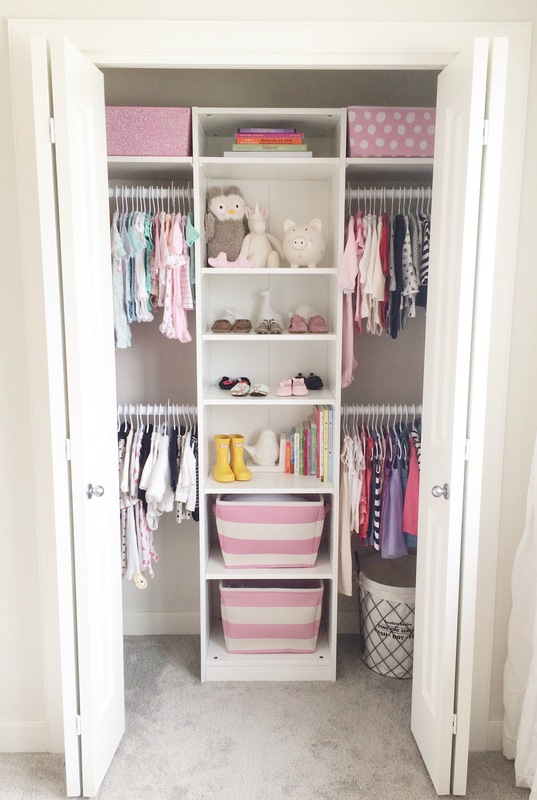 We have used this IKEA hack in our closest as well and it is strong enough to hold adult sized clothing. I even have one of those organizing type hangers that holds up to 30 scarves and another one that holds about 20 belts and both of those being heavier haven’t affected it all! What’s the size of this closet? 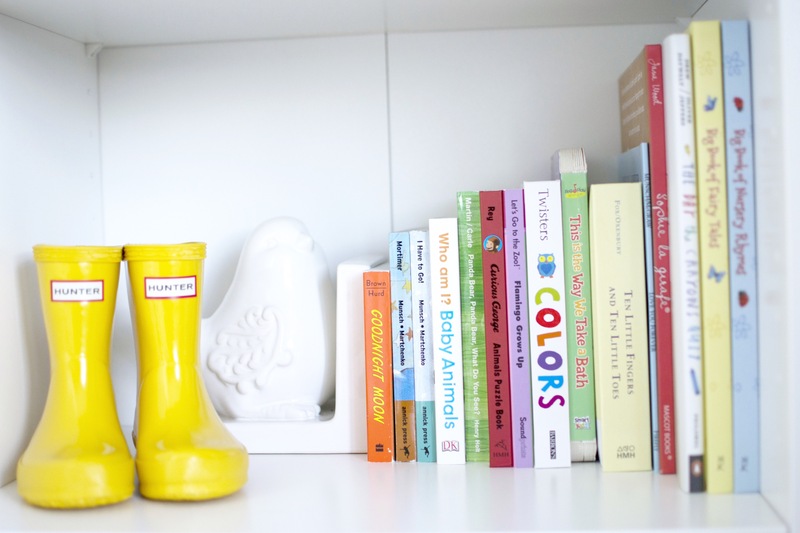 Love this & am planning to do at my son & daughter-in-law’s house for their new baby girl. Thank you. Hi! The closet is about 6 ft by 2 ft. Glad we could inspire you! Good luck! How did you cut the pax shelves to prevent them from splintering and falling apart? Did you use a plywood blade? Hi! My husband used a Freud Diablo ultra finish blade. And he also taped both sides of the cut with painter’s tape to help prevent splintering.